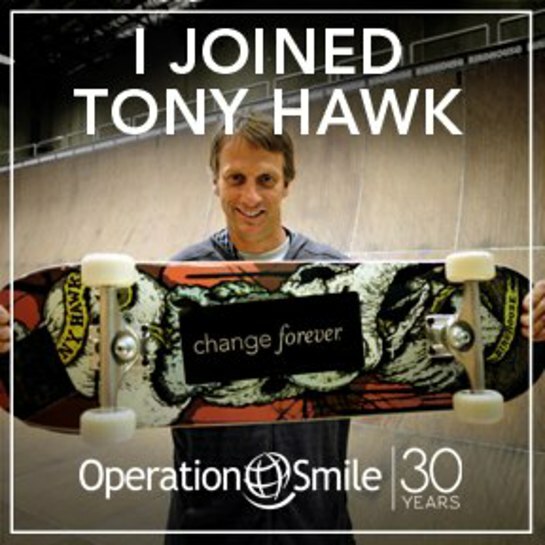 LookToTheStars.org’s Delinda Lombardo recently talked with pro skateboarder Tony Hawk about his involvement with Operation Smile. How and why did you get involved with Operation Smile? I was invited to the Smile Downhill event last year, and got to learn all about Operation Smile in the process. I believe in their mission and offered to get involved in any way after that. Do you have any direct experience with children or families affected by cleft lips/pallets? Mostly with friends growing up. Even though they had medical help, the treatments back then were less effective. I could see what a stigma they had to endure, and it was obvious that others saw them as “different” based on their physical appearance. Obviously for kids in developing countries, the stigma is much worse and many times the physical challenges are debilitating. You do quite a bit of charitable work, do you feel that most of your 3.3million twitter followers and/or billions of fans are listening? Are we reaching the next generation in terms of teaching them to give-back? I hope they are listening and that at least some are taking action. Social networking is a great way to raise awareness, as long as you can keep it honest, interactive and fun. You – via your Tony Hawk Foundation – are responsible for building most of public skate parks in this country. How involved are you in selecting who receives the grants to build and do you have plans to expand globally? Our funding and staff are not enough to expand beyond the USA yet, and there is still much work to be done in the cities with at-risk youth in our country. But if we can get help, both financial and administrative, then we would love to extend our expertise to other countries. Some of the organizations you support – aside from Operation Smile – include charity:water and the Laureus Sport for Good Foundation -why these and any others you would recommend your fans get involved with? Because I have seen the first-hand work of these organizations and I believe in their missions. It is often hard to quantify the work of charities so you sometimes have to see what they do first-hand. 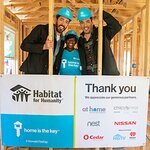 I have also done projects with Make-A-Wish and Habitat For Humanity. 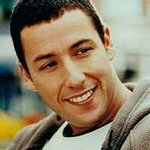 Have you heard of or met Tommy Carroll? Blind since age of 2 and amazing skateboarder? And have you ever boarded blind-folded? Yes! I was inspired by a video he did a few years ago, so I flew to Chicago to interview him myself. The Tony Hawk Twitter Hunt is the best thing to happen to Twitter, How did you come up with it? What’s your favorite part of it? And what can we expect this year – have you ever considered hiding at one of the spots and surprising someone? I saw how fast information was spreading through Twitter, and how prolific it was becoming. So I hid a skateboard on my way to my office one day and Tweeted the location. Within minutes, someone had found it and Tweeted a picture of themselves holding the board. Many others showed up right behind looking for it. This small project was the catalyst for doing it internationally on a much bigger scale. It has become an annual thing ever since. Sometimes I hide stuff myself and wait. Nightline followed me on such a mission; the finder was very surprised. Best gift you’ve received from a fan? I’ve seen a few people with tattoos of my skate graphics and/or signature. It is a huge honor… but kinda creepy all at once. If you were to ask your fans to do one thing to improve this world, what would it be? Help those less fortunate, in any way you can. It doesn’t always require money. Tony’s Theme! (by the Pixies). Look To The Stars would like to thank Tony Hawk for his time. He recently helped launch the Change Forever campaign for Operation Smile. To find out more, visit WeCanChangeForever.com.